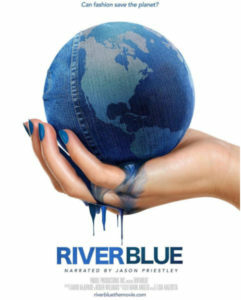 The documentary film River Blue asks the question “Can fashion save the planet?” The film follows river conservationist Mark Angelo as he chronicles some of world’s most polluted rivers. Along the way we discover the dark secret of the fashion industry while seeing some of the toxic side effects of textile production and jean manufacturing. Traveling from tanneries along rivers in India, to some of the largest jean manufacturing factories in China Angelo guides us on a journey through the environmental effects of toxic fashions. For those interested in detoxing their fashion check out Greenpeace. Since 2011 their detox campaign has challenged some of the world’s most popular clothing brands to eliminate releases of hazardous chemicals.